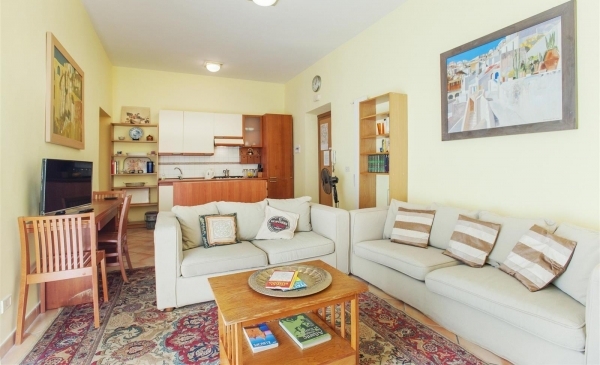 This cozy flat is located in Trastevere, close to Piazza S.Cosimato, and can host up to 6 people. It comprises a comfortable living room with fully-equipped kitchenette, two double bedrooms (one with double bed and the other with two twin beds) and two bathrooms with showers. The apartment is well appointed and the design modern and plain. The area in which is located is very characteristic and the position is excellent: the historic center can be reached easily with a short walk and just down the road of the flat there are many bars, restaurants and convenient stores. Been here? Write a review or just rate it!